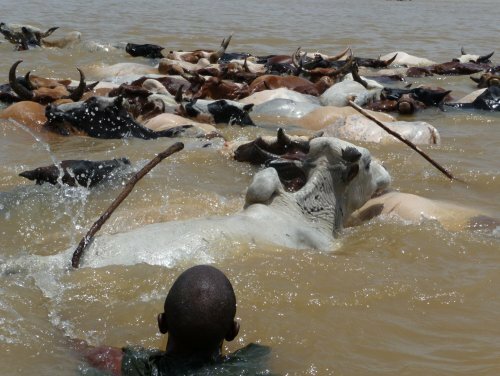 Sticks crack on the water, sounds and screams fill the air; massive numbers of cows are being urged by their herders. 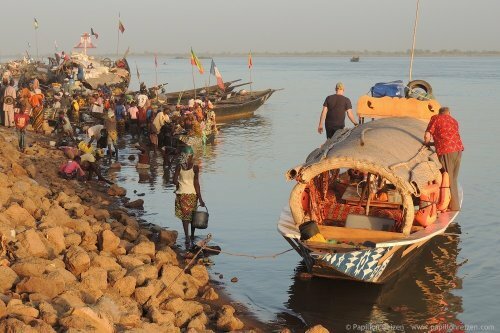 The other side of the Niger river, near the village of Diafarabé is the destination. Unwilling the cows try to return to the river bank, to be on dry land, but it’s inevitable, they will have to swim! The Niger river near the Fulani village of Diafarabé bristles with cows. The Great Crossing is the day’s theme. Young herders battle for the title of ‘herdsman of the year’. The winner is assured of everlasting glory and the undivided attention of the marriageable girls. Reasons enough for the young men to show their best and guide their cows to the other river bank, fast and safe! 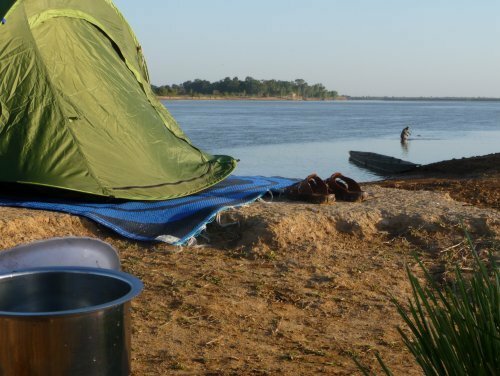 On this three day journey we take you on board of our pinasse to travel the Niger river from Ségou to Diafarabé and back to Ségou. While the Great Cattle Crossing is the occasion and main event of this trip, we also grab the chance to introduce you to daily life in the villages on the river shores, show you some interesting places along the way and make sure you’ll have a great time camping, enjoying the nights around the campfire under the star-spangled sky. 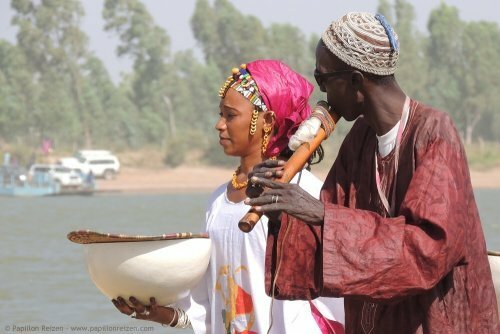 You’re about take part in a truly unique event, that’ll make you connect with the local people, while getting to know an aspect of the Fulani culture. We’re looking forward to take you on a journey to remember! Transport by pinasse, all meals, use of tents and matrasses, English and French spoken travel guide, all excursions and transport as mentioned in the itinerary and tourist taxes. Life vests available for babies, children and adults. 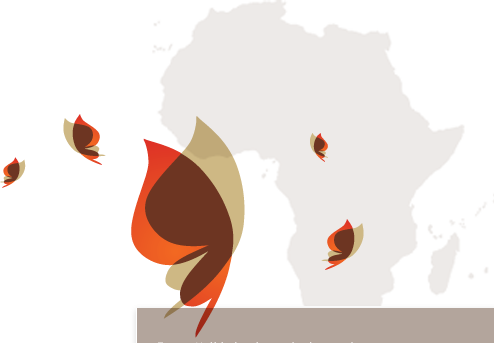 Transport to and from Ségou, personal insurances, accommodations in Ségou, drinks, tips, souvenirs, personal expenses. A good shape and flexible attitude are required for this journey, in which the nights will be spent in tents and (sanitairy) facilities are simple. Additional information for this trip will be provided upon booking.